This millipede was found in small garden at Eldoret, Kenya, July 2014. Length is about 80 mm. Millipedes are a fascinating and ancient group or Arthropods. As with all arthropods they possess an external skeleton and jointed appendages. Most species feed on dead plant tissue such as dropped leaves and fruit. 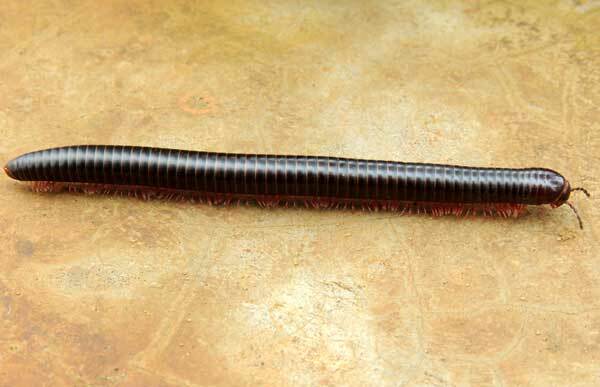 There are many species of millipede in Kenya with more species present in moist habitats.